Sikri was once a nondescript village 38km west of Agra, its only claim to fame being the home of a sufi mystic, Sheikh Salim Chishti. Its fortunes chained dramatically in 1568 when the Mughal emporer Akbar visited the saint. Akbar was at the peak of his rule, with a powerful, stable empire, and peace in the land. But Akbar was not at peace, as he had no male heir to inherit the kingdom. He went on a pilgrimage to visit Salim Chishti at Sikri, with one last desperate appeal for a son. The saint prophesied that he would have three sons, and just a year later in 1569 the first of these was born to Akbar’s queen, Harkha. 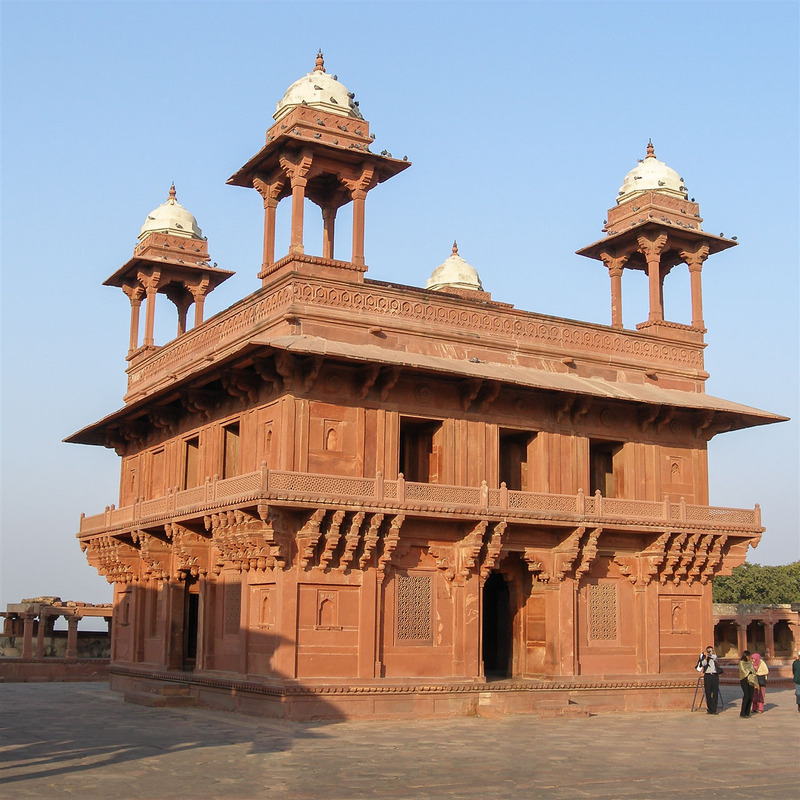 The son was named Salim, after the Sufi saint, and Akbar decided to build a new imperial capital at Sikri as a tribute to the saint. So this once rocky, barren ridge was transformed over the period of a few years into a magnificent citadel, which included a separate sacred complex specifically constructed for the saint. 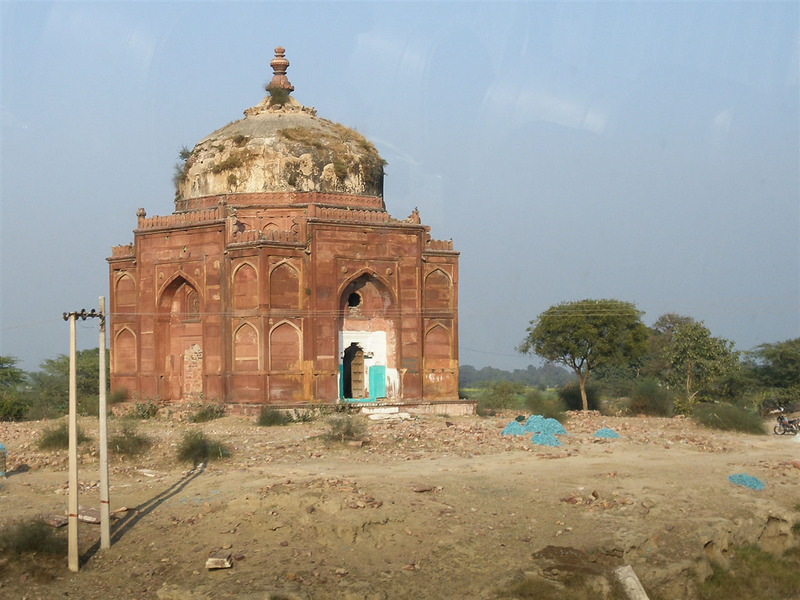 It was from here that Akbar marched out to conquer Gujarat, and upon his returned he renamed the city as Fatehpur (City of Victory). 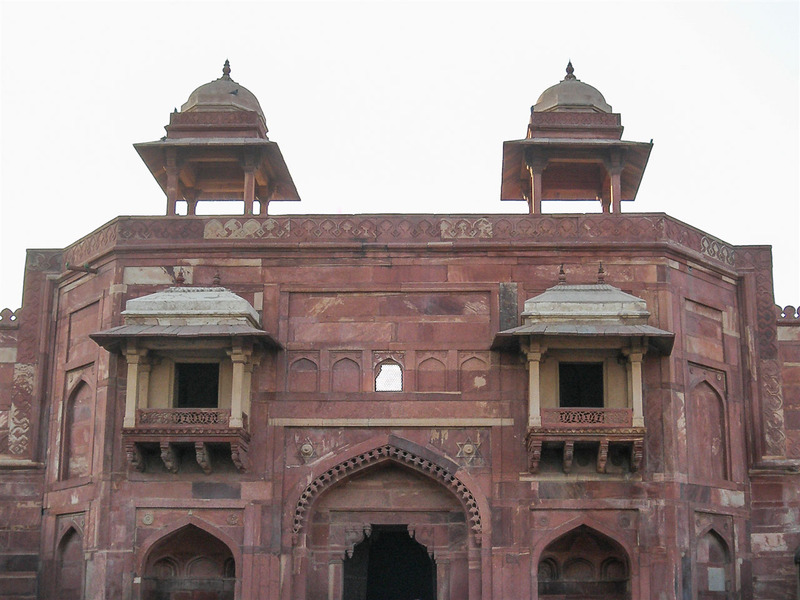 This is Mughal architecture at it’s finest, and the first planned city of the Mughal empire. But just 15 years later in 1585 the city was all but abandoned, and Akbar moved his imperial capital to Lahore. Nobody is quite sure why, some suggest a lack of water, others that it was a more strategic decision. 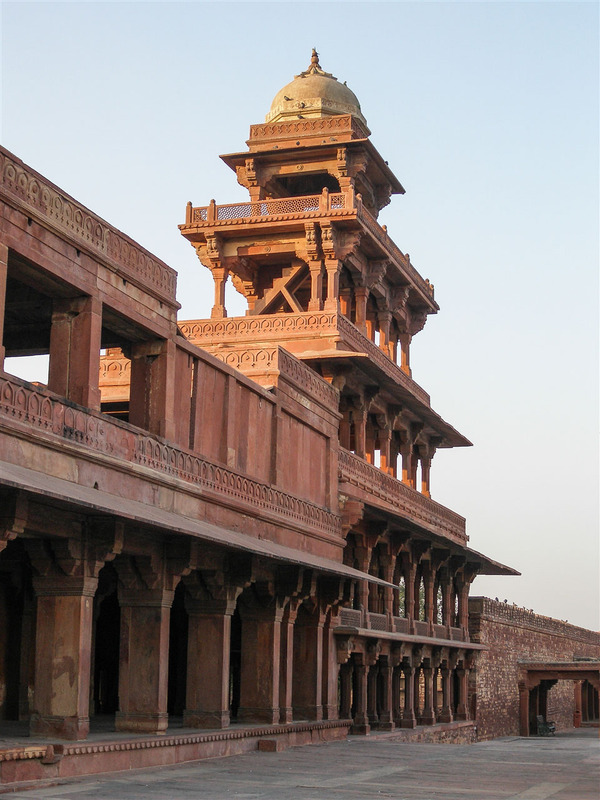 My visit to Fatehpur Sikri ten years ago was all too brief, being part of an organised group holiday we were quickly shown the “highlights” of the site before being swiftly ushered back to the coach. The complex is vast, you could easily spend a day exploring the site rather than the 90 minutes I had back then. The city is almost completely preserved, and had a slightly eerie feel to it. 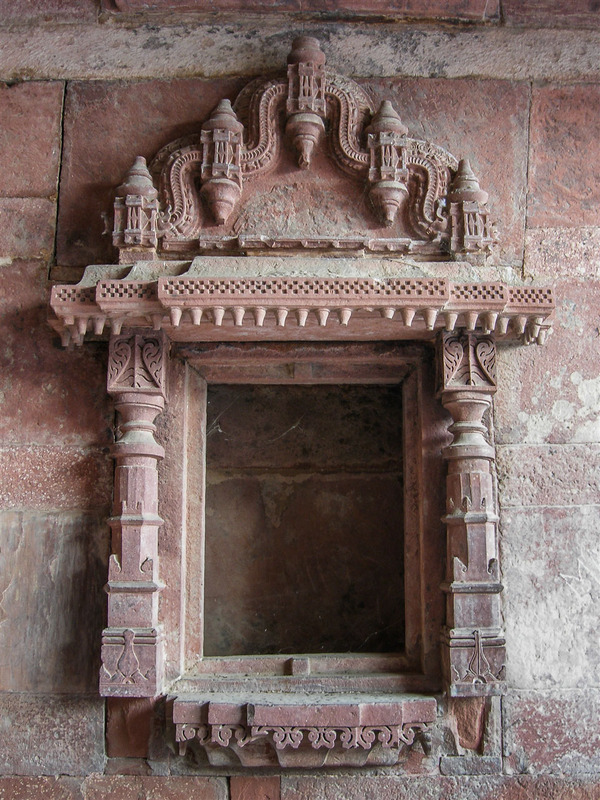 Every structure is so pristine, you feel as though it was only abandoned by Akbar last week rather than 450 years ago. The highlight for me was the Diwan-i-khas. Blending different architectural styles this building stands in the northeast corner of the royal complex. 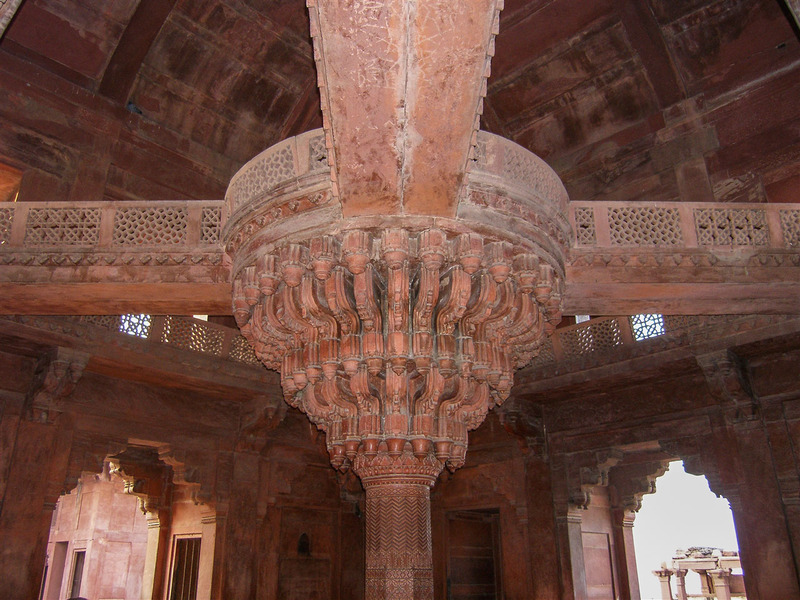 Akbar’s throne was placed on a circular platform resting on an imposing, richly carved pillar in the centre, the pattern of the carving inspired by the Gujarati style. 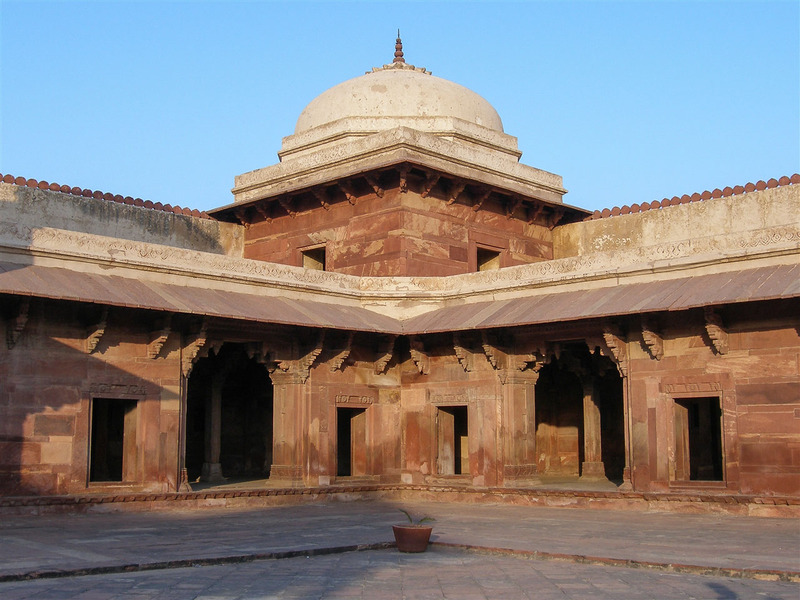 The Panch Mahal, also in the royal complex, is a five storeyed palace also known as Badgir (Windcatcher). The levels rise in decreasing sizes, designed to cool the interiors. There’s a remarkable mix of column designs and motifs, with the ground floor containing 84 pillars, an auspicious number for Hindus. Whilst at the time I realised I had only seen a fraction of the city, upon leaving this became even more apparent to me. 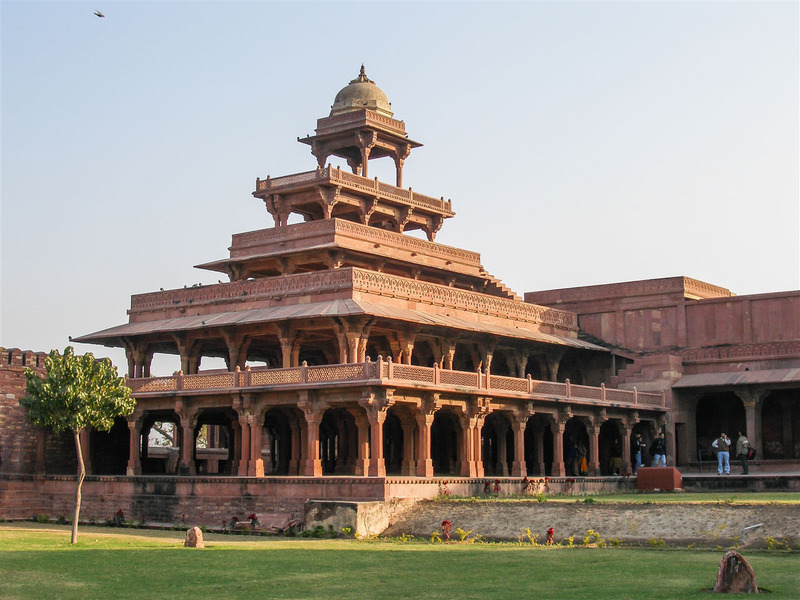 There are more than 30 other buildings around Fatehpur Sikri that are of architectural, aesthetic or historical interest. Some of them are in an advanced state of decay, but just the sorts of places I would love to have relished exploring further had I been on a self organised trip. I have more than enough excuses to return here one day soon. 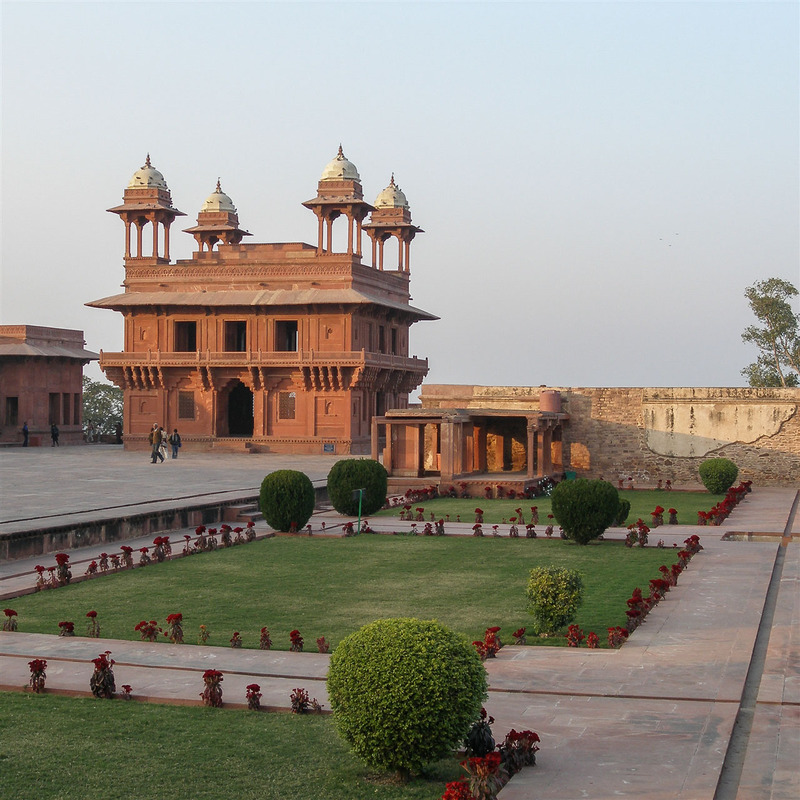 Fatehpur Sikri is open sunrise to sunset. Hi, i also visited Fatehpur Sikhri. Its a wonderful place, i am planning to visit it again. 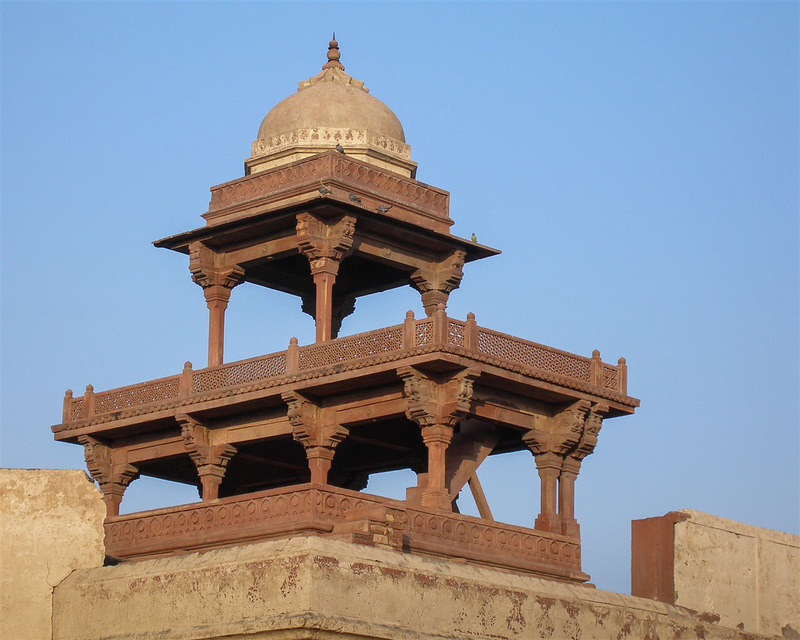 Its one of the best example of INDO-ISLAMIC architecture. Thank you so much for ds article. Do you keep a detailed journal of your travels? Your recollections seem so clear and vivid a decade later!